Background. 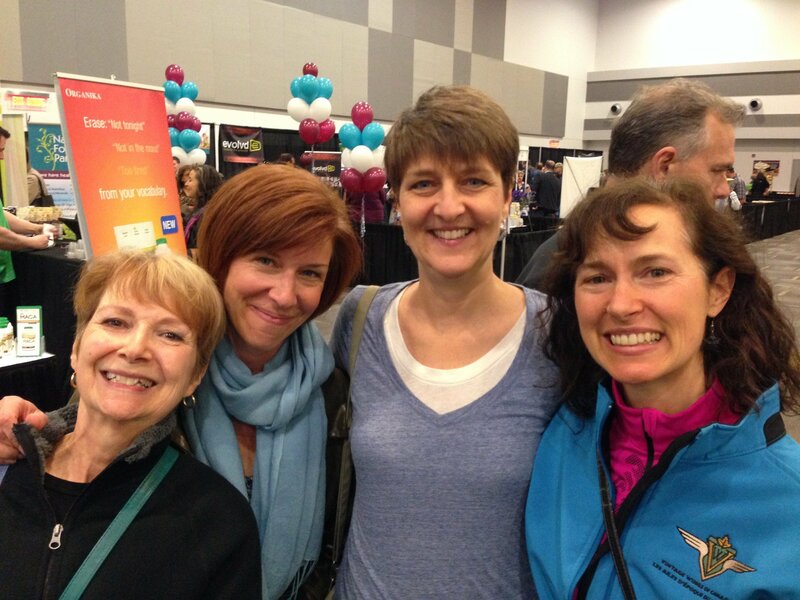 I was first introduced to CoreChair and active sitting at the Live the Smart Way Wellness Expo 2016 when my nutrition buddies Ellie, Lori and I literally bumped into an Ottawa local nutritional celebrity, Shirley Plant, author of Finally… Food I Can Eat (and now her Ebook: Finally… Paleo Food I Can Eat). Imagine my excitement, as not only did I own her cookbook but I had just faithfully watched her interview countless experts in her two seasons of the Eat Real Food Health Summit. I could not hold myself back from saying hello and thanking her for the consciousness she was spreading on these online summits. The vision of CoreChair is to offer the world’s healthiest, ergonomic and therapeutic office chair by encouraging optimal posture through core stabilization and movement that helps mobilize key joints most affected by sitting. It allows 14 degrees of movement in all directions and is designed to do the things the Ball Chair (I currently sit on) can’t do. It encourages you to engage your core – what we call active sitting. This quirky chair is designed to get you off your sit bones and encourage you to do periodic exercises to engage your core muscles and stimulate your blood flow, circulation, metabolism, lymphatic system and assist you to articulate beneath your centre of balance. Imagine what that could do for your digestion, mood and overall health!! The sitting pressure distribution map really shows how different it is from a both low and high end desk chairs and it is striking when you sit in it for the first time. The CoreChair was actually developed to improve upon the idea of the Ball Chair, which also encourages active sitting (not to be confused with exercise ball without the frame and wheels). Although I am loyal and thankful to my Ball Chair which has helped strengthen my core and prevent back issues over the past few years, I have sat far too long on it in front of my laptop studying and developing my career as a nutritionist and it has not been without consequences. Hence my interest in the CoreChair. 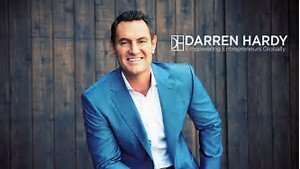 In fact, if I was one of the Den’s Dragons, I would have signed up on the spot, as I see such potential with it in today’s technologically-bound world. Posture. Both chairs encourage me to sit erect and avoid slouching. Back Support. Ball Chair has a slightly higher back support – if you choose to sit back but it creates an unnatural extension or curve backward. Pelvic Floor. Ball Chair does not feel good on my pelvic floor! It pushes up in this area and I wonder if it is not weakening the pelvic floor muscles it by that unnatural shape. Circulation. With the CoreChair, my legs and feet feel like they have better circulation which was an issue for me on the Ball Chair. CoreChair CEO Patrick Harrison noted that was one of the areas they targeted in the design while I was chatting with him during my brief demo of the chair. Hallelujah for all the hypothyroid, diabetics and poor circulation sufferers out there! Levels. There are 4 levels of active sitting on CoreChair. I credit my time on my Ball Chair for preparing me for the CoreChair Setting # 3. After 3 days, I was able to graduate to setting # 4 of active sitting! However, I do not recommend starting at these advanced levels without working your way up. I learned the hard way when I got over-confident and tried setting # 4 my first day. I subsequently suffered some lower back strain and quickly reverted back to setting # 3 on Day 2. Baby steps. Start at level 1 and work your way up. Price. The CoreChair costs more than the Ball Chair – $995 vs $80 respectively, yet offers a 60-day money back guarantee and a 12-year warranty. (There is also a new Faux Leather Medical Grade chair $1195.00). Sacral Integrity. As happy as I have been from the sacrum up with my Ball Chair, I can’t help but wonder how this additional movement available on the CoreChair will help the tiny muscles in the sacrum that I have spent time and money over many years managing at chiropractor offices after too much sitting, even on my cherished Ball Chair. Movement. When I finally acquire a CoreChair, I will miss bouncing on the Ball Chair; it is what I do by nature to actively sit during videos/training that I watch. Thank goodness my rebounder is nearby for the longer videos. But with the pelvic tilts and hip circles (I call them figure 8s) that I mastered in the CoreChair in one week earlier this year, there is hope for my future belly dancing career LOL! Numb Bum. I did not get “numb bum” from the CoreChair that I experience on occasion from sitting passively too long on the Ball Chair. Calories Burned. The Evaluation of CoreChair for Non Exercise Activity Thermogenesis (NEAT™) certification (through Mayo Clinic Arizona in 2016) showed that active sitting on the CoreChair increased caloric burn (metabolic demand) by 20% and not surprisingly with exercise, by 150%!!. It really is active sitting. I have not seen this research on the Ball Chair yet. 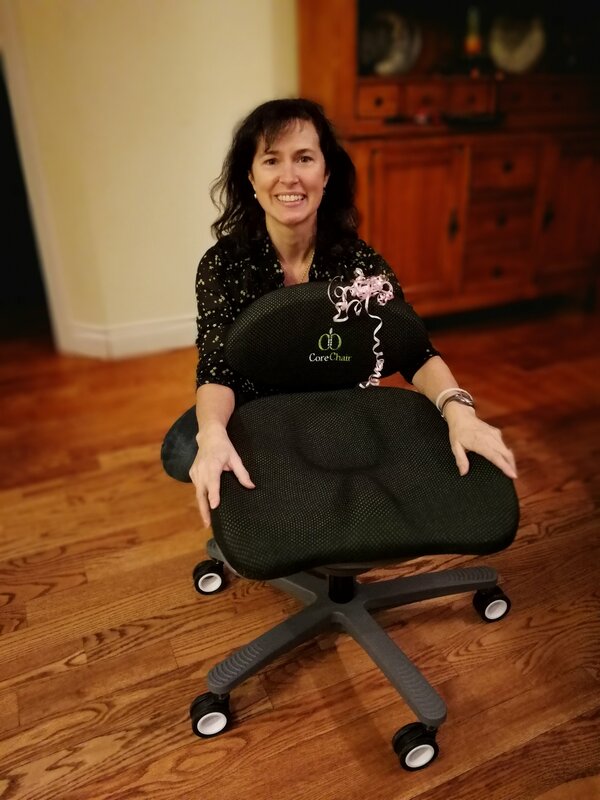 According to Shirley Plant, the Ottawa area CoreChair representative, “If you sit for more than an hour a day at work, then the CoreChair is for you. On average, we sit 9 to 13 hours a day. Our bodies are simply not meant to sit for that length of time and with the increase of desk jobs, TV and computer work, sitting is becoming a health hazard. Doctors warn that sitting disease could become the new smoking and that if you sit for more than an hour at a time, it is as bad for your body as smoking three cigarettes! Many offices are now offering standing desks, but standing in one position is not really any better than sitting in one position. The beauty of the CoreChair is that with its active sitting technology it was designed to lessen fatigue and discomfort associated with sitting, all while stimulating your muscles, blood flow and strengthening your core muscles. Being physically active in your CoreChair will help you to stay mentally engaged and more productive throughout the day.” Actually I heard of a recent study where the smokers in an office setting were found to be healthier than their sedentary colleagues as they, at least got up from their desks often. “While our ancestors were killed by diseases like famine, we are killing ourselves with excess. We no longer chase down our food – we chase the world by sitting down hunched over a PC, tablet or mobile phone all day. A recent NY Times article cited several studies that sitting for several hours at a time leads to weight gain, obesity, diabetes, cancers, and early death. The body literally shuts down after prolonged periods of sitting down for several hours causing a metabolic disaster of such proportions that even exercising for 1 hour can’t offset the impact. Yes – we have a health care problem – self-inflicted. We need a new health care policy not by government but enacted by you. You are the only one responsible for what you put in your body and how often you move your body. Think of your system as energy. Physicists say everything is made of energy. Energy is our life force and vitality. What your lifestyle – including what you eat/drink or move/rest either circulates, awakens and replenishes that energy or it burdens, depresses or stifles it.” Darren summarizes it by stating “Energy is life – choose to live it with verve and joie de vivre.” I just know that this CoreChair energized me and brought a certain playfulness to my work day – just watch the first CoreChair Experience video below and you will gain some insight into my fun experience. A brief story with Shirley’s permission. Shirley confided with me that a year ago she had to have an ultrasound done on her upper abdomen and breast area. She mentioned that during the ultrasound the technician asked her “Did she work out regularly?” Shirley, understandably confused by how this related to her ultrasound, admitted that she casually walked her dog daily but did not really ‘work out”. As an afterthought, she mentioned that she had a CoreChair. The technician then clarified by replying, “Because it’s amazing how ‘ripped’ inside you are!” (muscularly that is). That story has stayed with me, and if you meet Shirley you may be struck by the Tigger-like bounce in her step – I wonder how much it comes from her ‘ripped’ core?! Oh and she gets it from playfully dancing in her chair while she works at her desk – how does it get any better than that? I also took the CoreChair to my Active Release Therapist/Chiropractor to ask her opinion. Dr Elaine Chagnon of the Perth Family Health Centre noted “This is the best chair of this kind I have seen. However one precaution, it would not work with someone who need to lean forward for their job – e.g. giving pedicures – as it has too much instability at that flexed angle.” Thank you Dr Elaine for this insight and safety message. Shirley is also quick to point out the environmental, durable and risk-free aspects of the chair: “The CoreChair is manufactured with recycled nylon material, has 3D knit custom covers eliminating fabric waste with the fabric is made from 100% post-consumer recycled polyester. It is designed to be durable in order to increase the life expectancy. The CoreChair offers a 12-year warranty on all mechanical features and a 60 day money back guarantee.” With the investment involved, I appreciate those guarantees and of course the low environmental footprint. When I had to return the CoreChair it was a tough parting. It was love at first sit! Just this week, I have been blessed again to have another demo CoreChair in my office for a couple days for one of my clients to try. It has only served to reignite my flame and motivated me to draft this blog article after waking up with noticeably absent back strain after sitting only a few hours on it the day before. The contrast has never been clearer; it’s so much better for me than my Ball Chair. Ideally, it will be an adjunct to my future adjustable sit/stand desk that I also desperately want in my office. I know my current limitations; I cannot stand all day long yet, and from researching this article, I realize that standing still is no better than sitting still. It’s truly about staying active while sitting or standing. I soon hope to be actively sitting on my very own CoreChair, enjoying the lotion, motion and joie de vivre that it will provide as I help others to realize their healthy nutritional goals. A few very special people in my life conspired since this article was posted and I had an unbelievable birthday surprise! Laura Kissmann, CD, BSc, R.H.N.